Version 1.5 combines a complex oscillator and LFO with a stepped waveform generator. 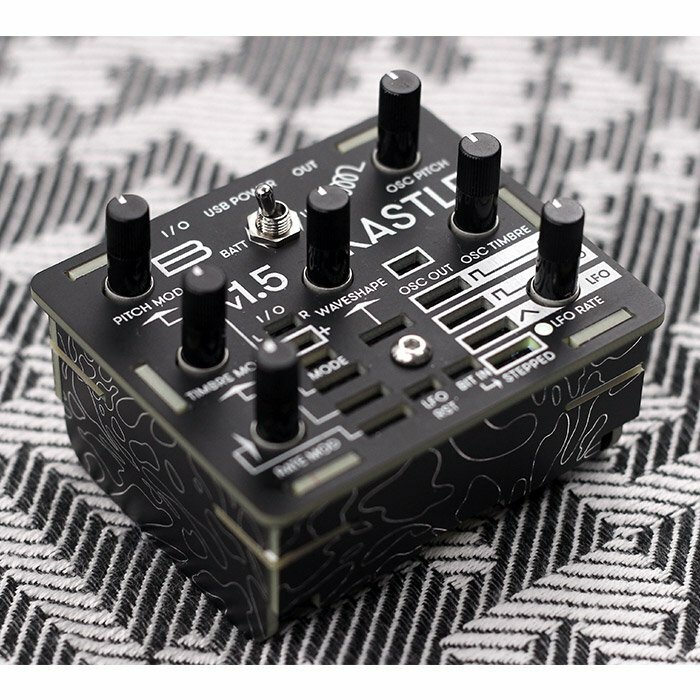 Kastle delivers the fun of modular synthesis at a cheap cost and fits into your pocket so you can play it everywhere! Version 1.5 combines a complex oscillator and LFO with a stepped waveform generator. The oscillator section has 3 sound parameters: PITCH, TIMBRE and WAVESHAPE – all under voltage control and with 6 different synthesis modes. 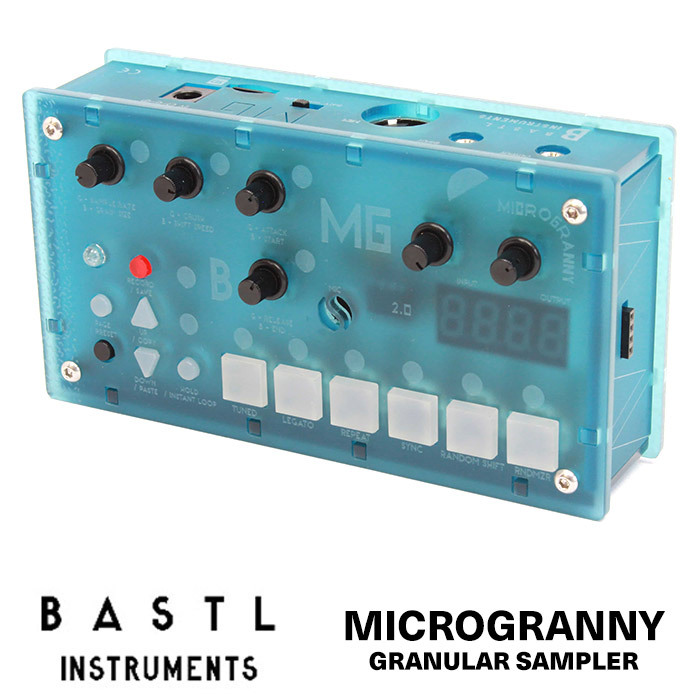 It has a main output and a secondary waveform output. Both can be used independently or in combination. The 3 synthesis modes available thru the main output are: phase modulation, noise mode and track & hold modulation.There are 3 more modes on the secondary OSC output: phase distortion, tonal noise mode and formant synthesis. Each mode utilizes one or two oscillators. The PITCH parameter controls the main oscillator, the TIMBRE sets the PITCH of the modulating oscillator and the WAVESHAPE depends on the synthesis mode. 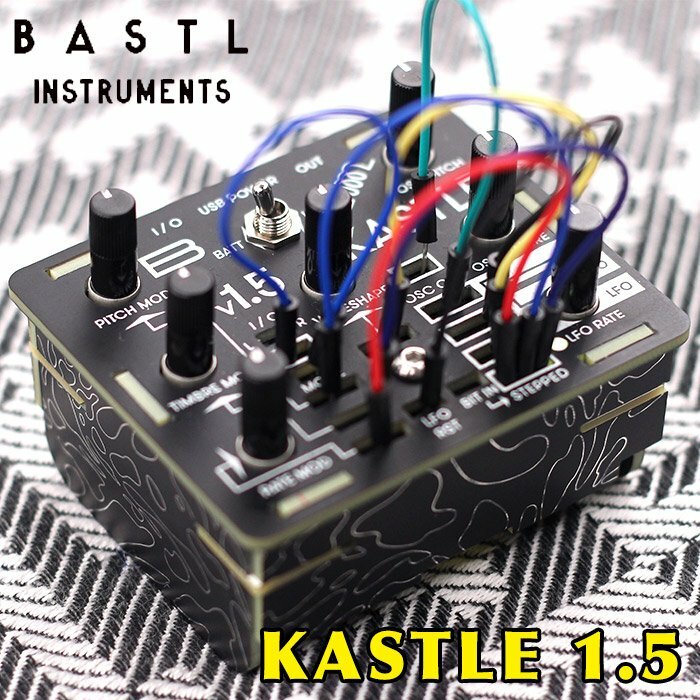 Kastle features a headphone output, 2 in/out ports for interfacing other gear and can run on just 3 AA batteries or USB. 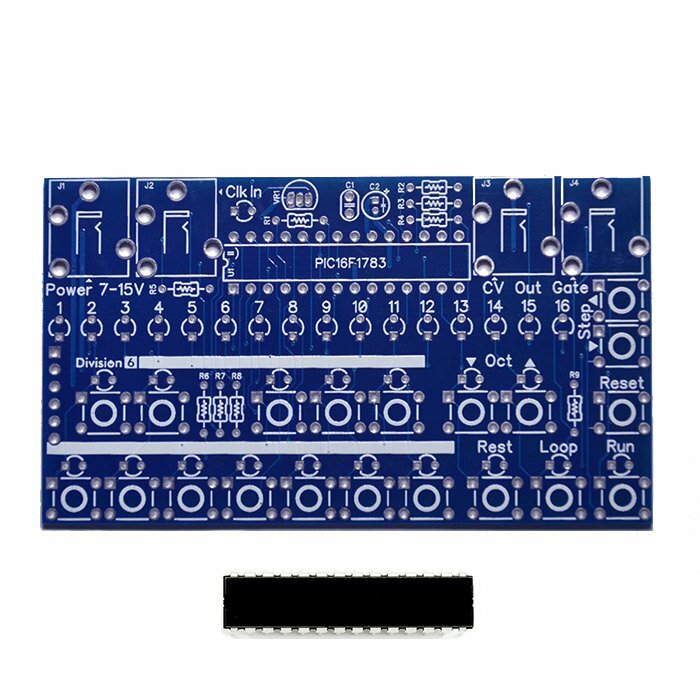 It is DIY friendly and ideal for beginners in modular synthesis, it will also add some quite unique functionality to any modular synthesizer system. 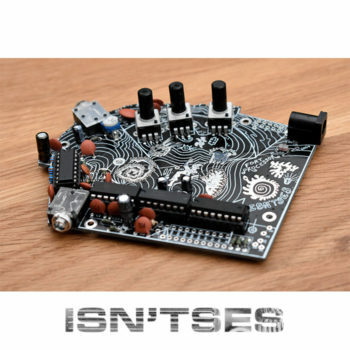 It has a unique digital lo-fi sound and it can be melodic as well as very noisy and drony, soft or harsh. 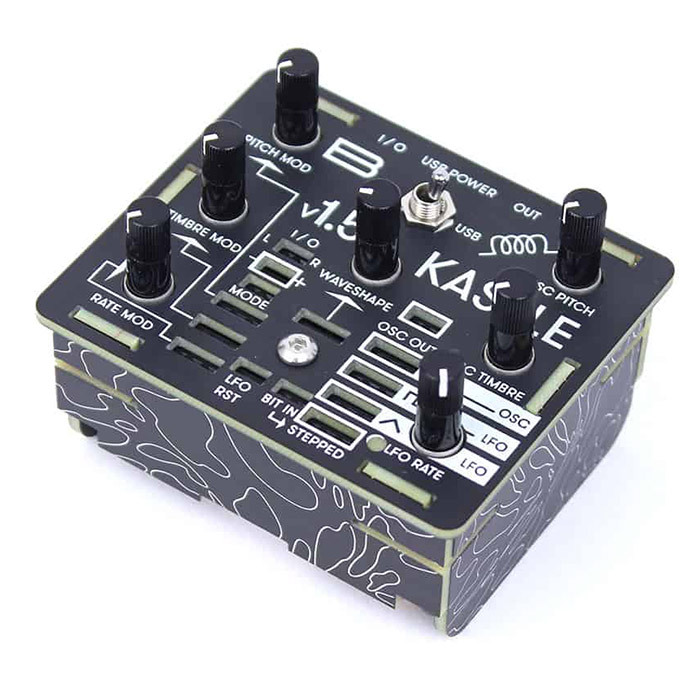 It is designed to be fun on its own but it is most powerful when combined with other modular gear. 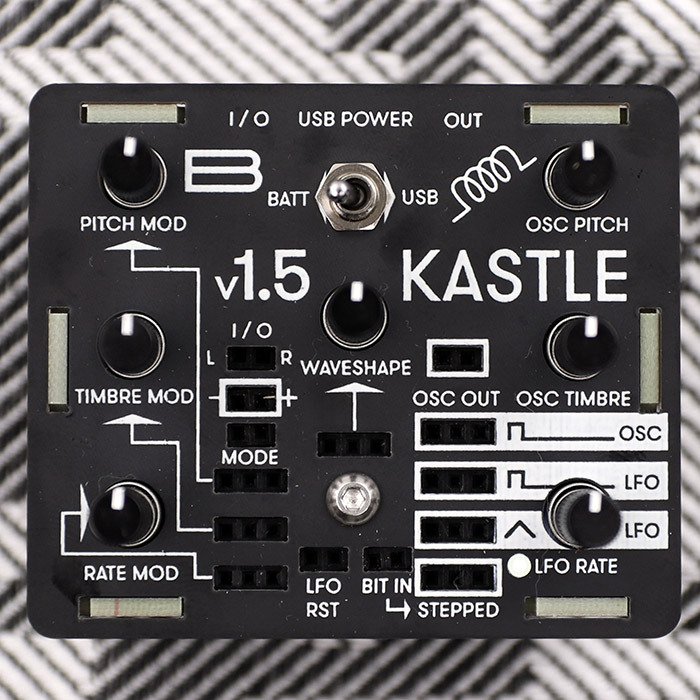 Kastle is an open source DIY project which runs on two Attiny 85 chips that can be reprogrammed with an Arduino (google: “programming Attiny 85 with Arduino”). One chip is dedicated to sound generation while the other one handles modulation. Several firmwares for the Attiny chips are available thru gitHub.